The dark is a scary concept for a lot of people because you can never be entirely sure of what lurks in the blackness once the light switch is flipped off. Darkness is associated with doom and gloom. Not much thrives in the darkness except little trinkets capable of glowing in the dark. When in the light, glow in the dark objects appear normal, even boring but hit the lights and that very object shines in the blackness. How inspirational! 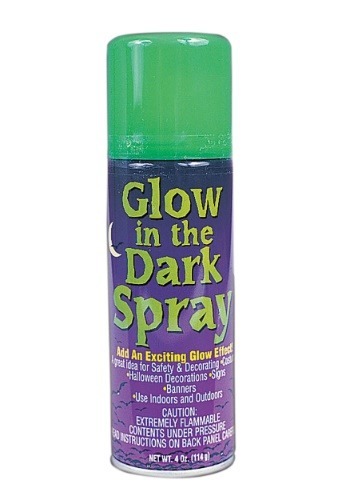 If you love anything that gives off a greenish glow in a dark room, the glow spray needs to be yours. Use this handy aerosol spray to give many things a radiating brilliance. 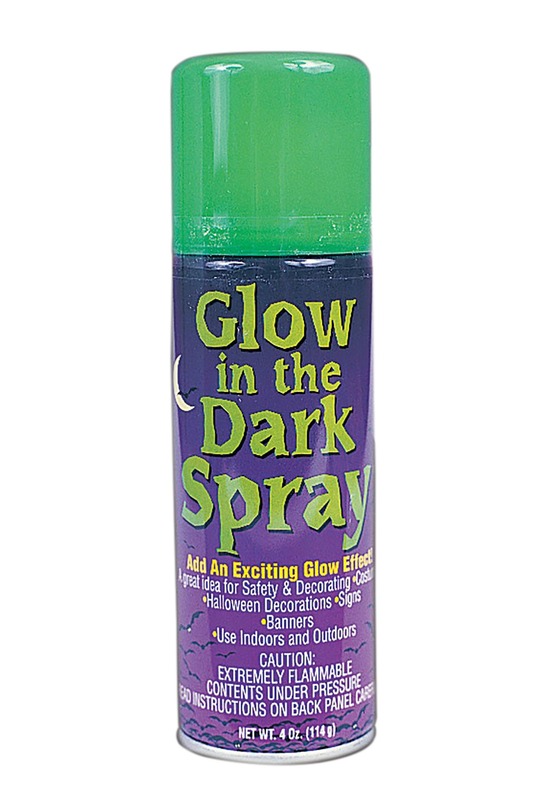 This spray can be used on signs and plastic objects so they can glow once the sun sets. It's ideal to use on Halloween decor so make sure to pick up a couple cans so all your pumpkins glow. The 4 oz. can of spray may be used on any inanimate indoor or outdoor object. It's also ideals for banners and other arts and crafts projects. The temporary spray paint can be easily washed and away with soap and water but should not be used on skin or hair. Please read all instructions before using this item. Pro tip: spray an object in your room with this to create a quick and easy nightlight.